SUBHEAD: International Atomic Energy Agency, lap dog of nuclear industry, to okay Fukushima release of radioactive water into Pacific Ocean. 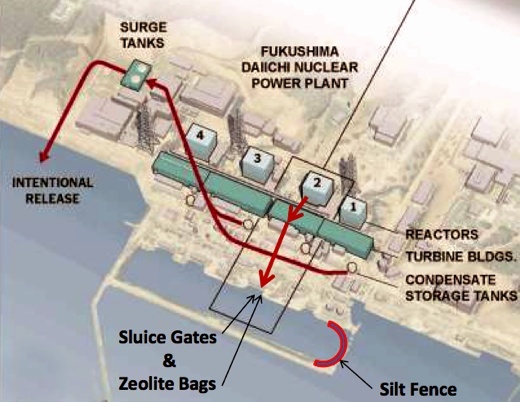 Image above: Detail of 2011 presentation slide by Lake Barrett, currently a Tepco adviser, of plan for intentional release of radioactive water into Pacific Ocean. From (http://nuclearfoundation.org/events_files/Barrett_Presentation_2_Part_2.pdf).